Dawn over Menton with Italy beyond. That's part of Elsa Plage in the foreground. Aube sur Menton avec l'Italie dans le fond. Au premier plan, une partie d'Elsa Plage. Very nice! 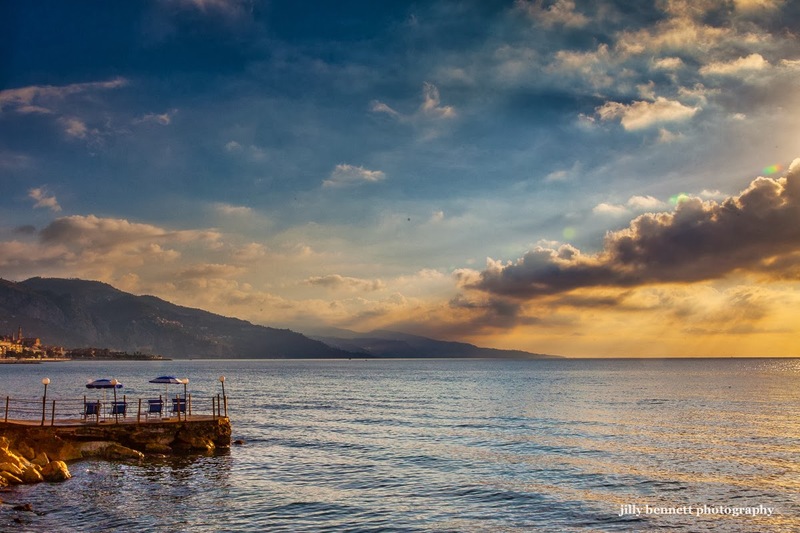 The Menton sunrise experience is not to be missed. Streets are empty, the early cyclists roll back for their days work, the sea had been calm and with a little wind wakes up slowly. You can feel Menton getting busy shortly after this moment. Superb capture of a stunning sky.